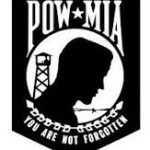 Last week President Barak Obama proclaimed September 18, 2015, National POW-MIA Recognition day, reinforcing our national commitment to those defenders who never came home. “We rededicate ourselves to our ironclad commitment to never leaving one of our own behind,” the proclamation reads, “and we pay tribute to those patriots known to God and never forgotten.” The quest to locate, identify, and return the remains of our nation’s war dead remains daunting even with the recent reorganization of the agencies responsible for the task and a new policy that utilizes private organizations that have much to offer. In February 2015 the troubled Joint POW-MIA Accounting Command (JPAC) was merged with the Defense POW/Missing Personnel Office (DMPO) and the Air Force Life Science Equipment Lab into the “Defense POW/MIA Accounting Agency.” I worked (as volunteer) with JPAC for several years to locate family members to provide DNA reference samples for the 98 American POWs who were massacred on Wake Island in 1943 and have written about the Wake Mission frequently in this blog. (I recently redirected the blog’s old JPAC links to the new agency website at http://www.dpaa.mil.) I was able to find DNA donors for 75 of the 98 victims, but had to suspend 23 cases: 14 of these families were found, but had no qualified donor (or a refusal), and 9 were “dead ends.” The Armed Forces DNA Identification Lab at Dover AFB processes the family reference samples and I continue to forward inquiries to them. Just last week two more potential donors made contact, including one who will be a first donor for his family. To my knowledge no positive identifications have been made yet. In 2013 JPAC was heavily criticized for failure to recover and identify more remains of the American war dead. Allegations of inefficiency, deception, and dysfunction were compounded by complaints from private groups and individuals that JPAC rejected their offers of research and search help. With 83,000 MIA unaccounted for from WWII and the Korean and Vietnam wars, it would seem like you’d take any help you can get. (About 73,000 MIAs are from WWII alone and many of these are categorized as non-recoverable because they were lost at sea.) As part of the reorganization, the new agency is now working directly with some of these nonprofit organizations on specific cases and sites. Justin Taylan’s Pacific Wrecks, Inc. has been searching Papua New Guinea for WWII airplane wreck sites for years, and is now conducting missions for DPAA. A Florida-based organization, History Flight, recovered the remains of 36 Marines from Tarawa in the Pacific and turned them over to the central lab in Hawaii a couple of months ago. In other cases, archaeological firms and university-based projects have been engaged to aid specific missions and consult on advances in DNA technology.